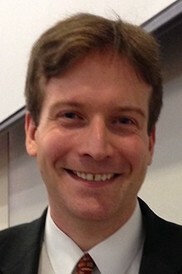 Jonathan Matusitz (Ph.D., University of Oklahoma, 2006) is currently a tenured associate professor in the Nicholson School of Communication. His research focuses on the role of communication in terrorism, symbolism in terrorism, the globalization of culture, and health communication. His research methodologies include qualitative interviewing, content analysis, semiotics, and theoretical analysis. On top of having more than 100 academic publications and over 100 conference presentations, he taught at a NATO-affiliated military base in Belgium in 2010. Originally from Belgium himself, he moved to the United States in 2000. His first book on terrorism, titled Terrorism & Communication: A Critical Introduction, was published by SAGE in 2012. His second book, Symbolism in Terrorism: Motivation, Communication, and Behavior, was published by Rowman & Littlefield in 2014. In 2011, Dr. Matusitz’s research was cited by the U.S. Supreme Court. Since 2014, he has collaborated with a representative of the Defence Research & Development Organisation (DRDO), Ministry of Defence, in India to examine suicide terrorism. Since his tenure at UCF, Dr. Matusitz has received multiple faculty awards. In 2012, he was honored with a prestigious teaching award by the College of Sciences (COS). In 2014, he received a teaching award by the Nicholson School of Communication: the “Excellence in Teaching Award for 2013-2014.” And in 2015, he was the winner of the Excellence in Undergraduate Teaching Award for COS.
Matusitz has taught the following courses at UCF: Terrorism and Communication (COM 4416), Symbolism in Terrorism (COM 6425), Intercultural Communication (COM 4461), Conflict Management (COM 4462), Group Dynamics (SPC 4426), Nonverbal Communication (SPC 4331), Organizational Communication (COM 3120), Communication and Human Relations (COM 3011), Communication Research Methods (COM 3311), Health Communication (COM 6025), and Honors Fundamentals of Oral Communication (SPC 1600).